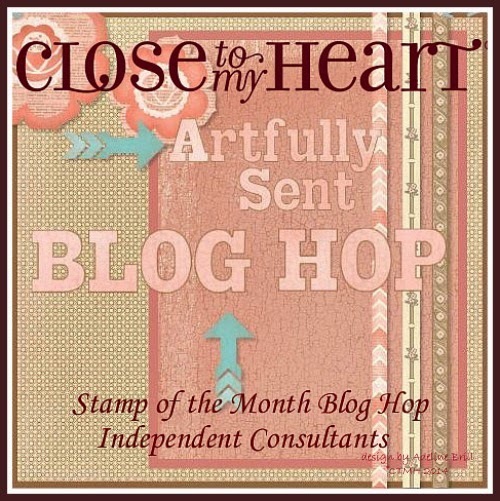 Welcome to our Artfully Sent Blog Hop! Today we have well over 40 CTMH consultants sharing projects made with our new Artfully Sent cartridge! If you have come here from Melissa's Blog you are on the right track! This hop is a big circle so if you continue on eventually you'll come back here but if you get lost along the way, you can click here for a full list of all the participants. I created a missing you card for my daughter. She hasn't been back home since we took her to college in mid-August so we are counting down the days until Thanksgiving Vacation! I can't even express how much I miss having her at home but I know she is growing and loving college. I used my Explore to write our names on the front of the card in silver marker. I picked the fox theme as I just sent her a fox mask for her Halloween party and used the same Scaredy Cat papers. On the inside of the card I added a bit of color layering to give more detail to the cuts - I added blocks of green for the leaves and pink glitter paper for the bird to match the heart on the front of the card. I even used tiny scraps of Pixie Pink between the Champagne overlay of the deer and the solid black backer I created for the pop up section. 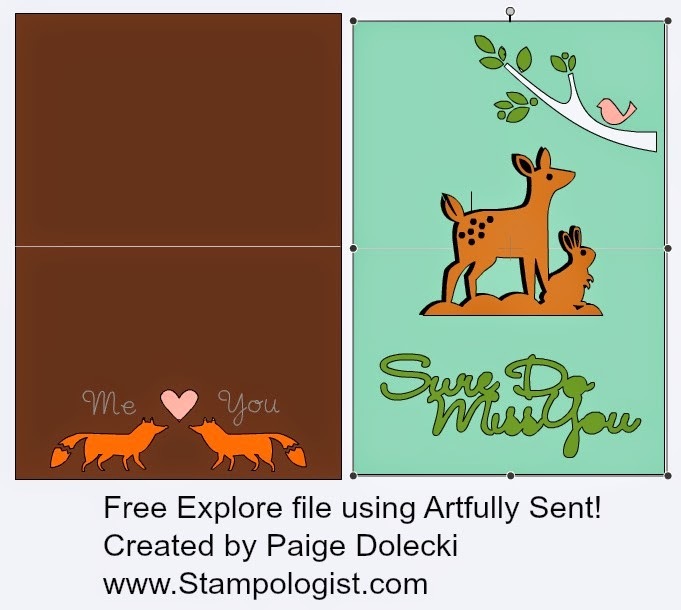 Here is the Cricut Explore file I created to make this 5x7" card with pop up liner - I changed the names to Me and You to make it more generic for sharing. To edit these names just Detach the writing and replace. Some of the tiny pieces like the fox tail and the ears I didn't create squares for - simply tear a tiny piece of the color to cover those areas. I hope you enjoy the free file! I truly appreciate the patronage I receive of my CTMH business which allows me the ability to create and offer so many free files! Now hop on over to Michelle's Blog and see what she has created to share with us! I LOVE this card and thanks so much for the file! What a sweet card...love the Momma dear and fawn...very good symbolism for how you feel about your daughter. Thanks so much for sharing the file! Your daughter is going to love this card. So beautiful. Great card, your daughter will love it. Thank you for sharing!